I remember being sat on a bench on Dunwich Heath in September last year and seeing the dome of Sizewell B for the first time as an adult. I had just walked a little way down the coast, after a day of filming further down at Orford Ness, from Dunwich beach through to the heath. I simply was not expecting to be greeted by such an alien object. 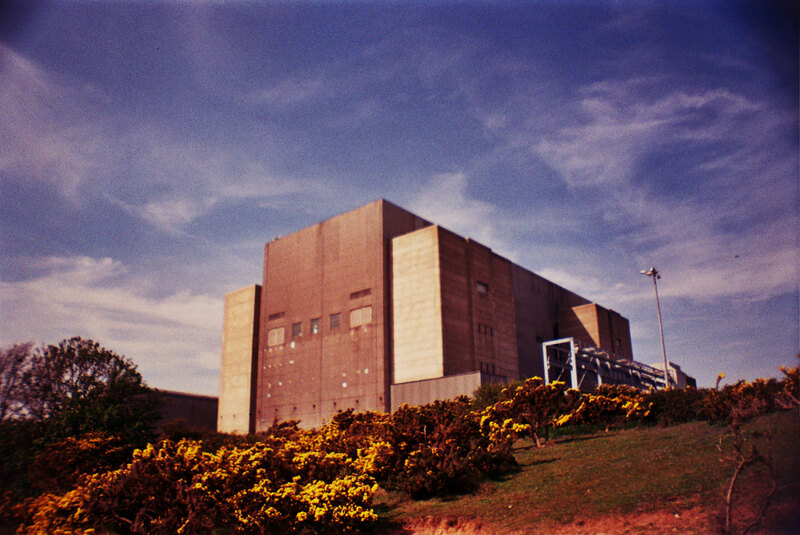 In spite of having been surrounded all day with alien, Cold War architecture on the Ness, Sizewell seemed even more odd, almost impossibly so. In between where I was and where it was sat the Minsmere RSPB reserve, the ultimate in popular wildlife destinations. How could such a foreboding object simply sit uncontested on the land, especially around a land that is filled to the brim with people whose sole purpose in being there was to observe? It screamed of a delicious conspiracy and one that needed to be filmed on super-8 though Heavy Water is more than simply a travelogue. 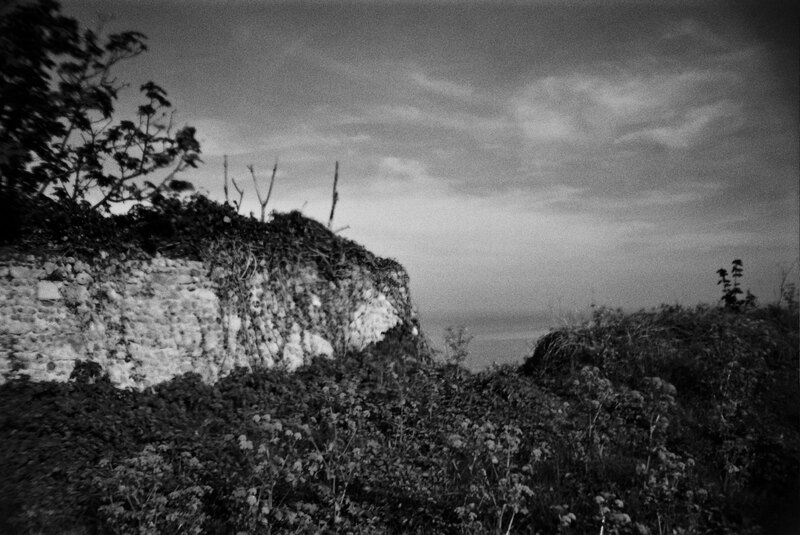 Because of the history of Dunwich and because of a constant engagement with Hauntology as a theme, the two places spoke to each other with such ease as to make the film an almost post-apocalyptic proposition. The writing of W.G. Sebald also played a huge part in the creative impetus for the film, his work actually inspiring the original trip down there that lead to me seeing the station, albeit with far more pulp tendencies than the writer’s work. Whereas Sebald saw only the past calamities through walking along that coastline, Sizewell to me spoke of future consequences; an unheeded warning that would make Dunwich’s falling into the sea seem like a calm summer’s day. Because of this, the film deliberately used a mixture of colour and black & white reels, though the former is actually stock that is far out of date; hence its Jarman/A Journey To Avebury graded inflection only slightly more blue and far more degraded. Using this reel especially was a risk and though not all of the footage has come back at a good quality, hopefully the disintegrated feel should be in line with the film’s themes. For the music, I looked again to Richard Skelton who scored last year’s Holloway film and whose piece, The Glimpses Of The Empyreal Light, had already shown that he was the creator of music with a dark swell. As the film is very much about water in its own, pessimistic way, his ebbing score for this film is perfect and beautiful in its own right. I only hope I’ve managed to somehow match its undercurrents. I also looked again to Paul Carmichael for the voice, his own lucid tones starting to narrate my inner thoughts through sheer engagement with it in constantly editing his tones. 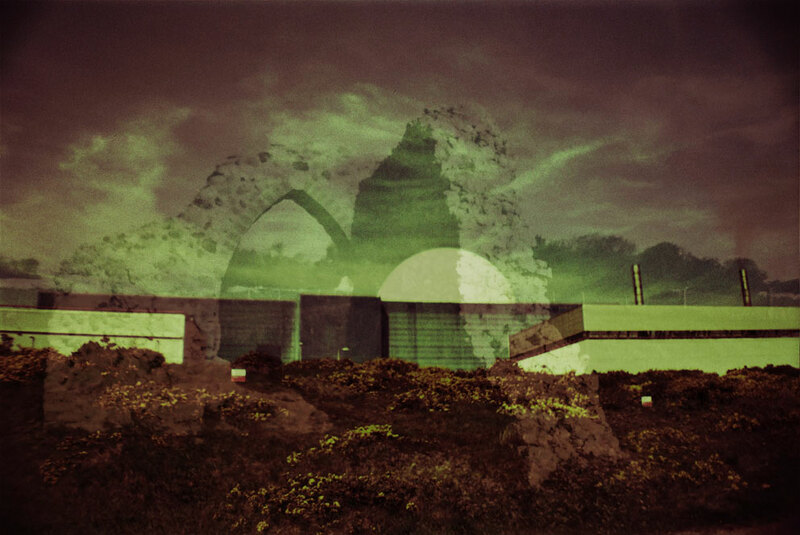 I can hear the bells of the lost city of Dunwich, crumbled into the sea as Heavy Water rocked against its cliff-top coast. A breeze blows the arid dust of its precipice, grain by grain, onto the shingle below. The land and its paths are returned quietly to dust, sutured together only by the half-life heath. 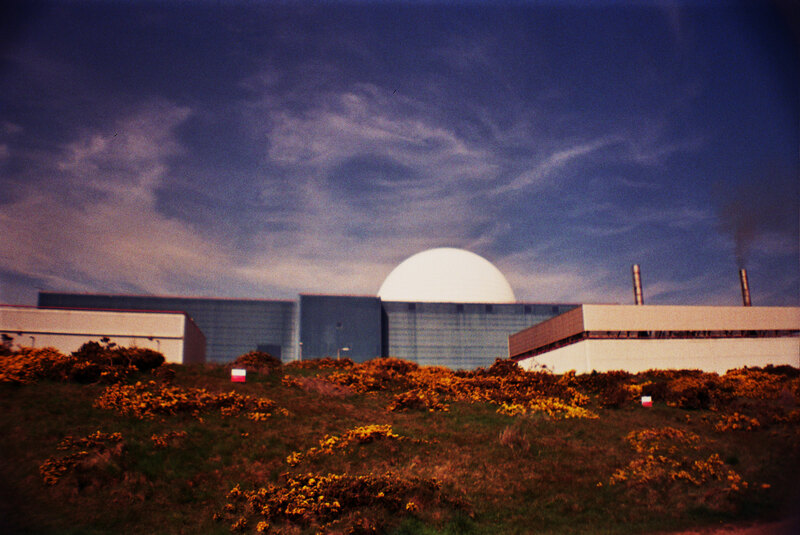 Sizewell grows from the neighbour-land, nuclear cobwebs sprinkled upon the spiky gorse. The dome, oblique, and watching over the marshes of Minsmere and its avarian colonies, hums gently to itself. Devastated dunes side-wind in the breeze, spectral like the lost port’s imprint, brought down under waves in a delicate haze of foam and storm. The beach is terminal, a graveyard of memories and buildings made of cinder. A totem stands to a nuclear god. The lost city’s cries haunt the coastline; ruins of the monastery hanging on to a disintegrating land, as if the plant’s fusion had already begun its binding. The Grey Friar’s fallout in paradox as an aleph of catastrophe. Life is reduced to ashen remnants underfoot, like the last grave waiting to join the rest of the town; a ruined warning of the lost future to come. Eyes wander from past to present, the dome lurking as it ticks away in the marram grass. Voices echo in the forests and paths, whispering warnings of the same calamity to come. But the dome hums on. Future ghosts convene with voices lost under the waves. Conspiring, planning for that final storm from which no man nor woman can find safe shelter. Dunwich, decrying its dose of flamed swell, lets the waves take its final, crumbling remains. The sunken bells chime on in unison to the metallic cathedral of the adjacent shore and its alarms. A gesture of grievance for the dome’s medicinal critical mass as its white light finally engulfs the last view of the horizon line. Trees turn to path, turn to heath, turn to shingle, turn to metal, turn to fission, turn to nothing. For there is heavy water on half-life heath. The London Nobody Knows (1969) – Psychogeographic Fluctuation.